IBM scientists have built a quantum processor that users can access through a first-of-a-kind quantum computing platform delivered via the IBM Cloud onto any desktop or mobile device. IBM believes quantum computing is the future of computing and has the potential to solve certain problems that are impossible to solve on today’s supercomputers. The cloud-enabled quantum computing platform, called IBM Quantum Experience, will allow users to run algorithms and experiments on IBM’s quantum processor, work with the individual quantum bits (qubits), and explore tutorials and simulations around what might be possible with quantum computing. The quantum processor is composed of five superconducting qubits and is housed at the IBM T.J. Watson Research Center in New York. The five-qubit processor represents the latest advancement in IBM’s quantum architecture that can scale to larger quantum systems. It is the leading approach towards building a universal quantum computer. A universal quantum computer can be programmed to perform any computing task and will be exponentially faster than classical computers for a number of important applications for science and business. There is more hype here. As Scott Aaronson likes to point out, quantum computers would not be exponentially faster for any common application. Here is a list of quantum algorithms, with their suspected speedups. According to this timeline, we have had 5-qubit quantum computers since the year 2000. I first expressed skepticism on this blog in 2005. A universal quantum computer does not exist today, but IBM envisions medium-sized quantum processors of 50-100 qubits to be possible in the next decade. With a quantum computer built of just 50 qubits, none of today’s TOP500 supercomputers could successfully emulate it, reflecting the tremendous potential of this technology. The community of quantum computer scientists and theorists is working to harness this power, and applications in optimization and chemistry will likely be the first to demonstrate quantum speed-up. So there is no true quantum computer today, and no one has demonstrated any quantum speed-up. Don't plan on connect this to any real-time service. IBM is running batch jobs. Your results will come to you in the mail. That's email, I hope, and not some punch-cards in an envelope. Here is one way you can think about quantum computing, and my skepticism of it. 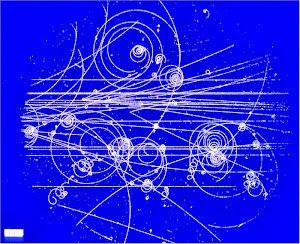 Quantum mechanics teaches that you cannot be definite about an electron's position when it is not being observed. One way of interpreting this is that the electron can be in two or more places at once. If you believe that, then it seems plausible that the electron could be contributing to two or more different computations at the same time. Another view is that an electron is only in one place at a time, and that uncertainty in its position is just our lack of knowledge. With this view, it seems implausible that our uncertainty could be the backbone of a super-Turing computation. Some people with this latter view deny quantum mechanics and believe in hidden variables. But I am talking about followers of quantum mechanics, not them. See for example this recent Lubos Motl post, saying "Ignorance and uncertainty are de facto synonyms." He accepts (Copenhagen) quantum mechanics, and the idea that an electron can be understood as having multiple histories as distinct paths, but he never says that an electron is in two places at the same time, or that a cat is alive and dead at the same time. So which view is better? I don't think that either view is quite correct, but both views are common. The differences can explain why some people are big believers in quantum computing, and some are not. Suppose you really believe that a cat is alive and dead at the same time. That the live cat and the dead cat exist as distinct but entangled entities, not just possibilities in someone's head. Then it is not too much more of a stretch to believe that the live cat can interact with the dead cat to do a computation. If you do not take that view, then were is the computation taking place? 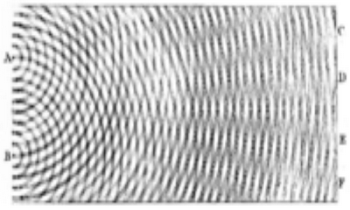 I would say that an electron is not really a particle, but a wave-like entity that is often measured like a particle. So does that mean it can do two different computations at once? I doubt it. We never observe anything like probabilities but specific outcomes, so there is no empirical evidence for such computations. If an electron is never found to be 1/4 in a cavity and 3/4 out of it then we are clearly going beyond QM to say anything. I hope you are aware that Lubos Motl accepts quantum computing and for the exact reasons Aaronson gives. He talks about cancellation and the Wigner distribution ("negative probabilities"). I recently discovered this "Motl" crank also endorsed David Tong's FQXi paper that claims that difficulty in placing chiral fermions on the lattice disproves computational physics. This fairly minor tying up of loose ends would make it ludicrous to claim it implies anything about impossibility. Almost everything else is already modeled! Those such as Xiao-Gang Wen have already claimed to have the answer. How about some conservative applications like simulating quantum systems. Isn't it reasonable to assume that you can best catch a thief by using another thief? Feynman thought so.